Moles are considered beauty spots by many… but some are more beautiful than others. Sometimes moles are present in inconvenient places or simply do not look attractive. In rare cases, moles can be considered precancerous, and must be removed. Skin tags form anywhere on the body and commonly occur on the eyelids, face, neck and body. 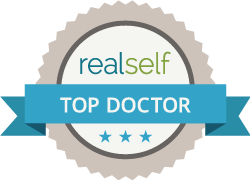 No matter why you seek Surgical Mole Removal or Surgical Skin Tag Removal, in Edgewater or Hoboken or NYC you will find excellent expertise at the Edgewater and Hoboken Cosmetic & Laser Centers and 1Aesthetic in NYC. At our skin care center we know it is essential that you turn to qualified professionals and surgeons who can not only ensure that a mole or skin tag is effectively removed but also that the removal site looks excellent afterwards, from a cosmetic perspective.